A colourful, illustrative style print for snowboard sports lovers which can be personalised with the name/s and text of your choice. 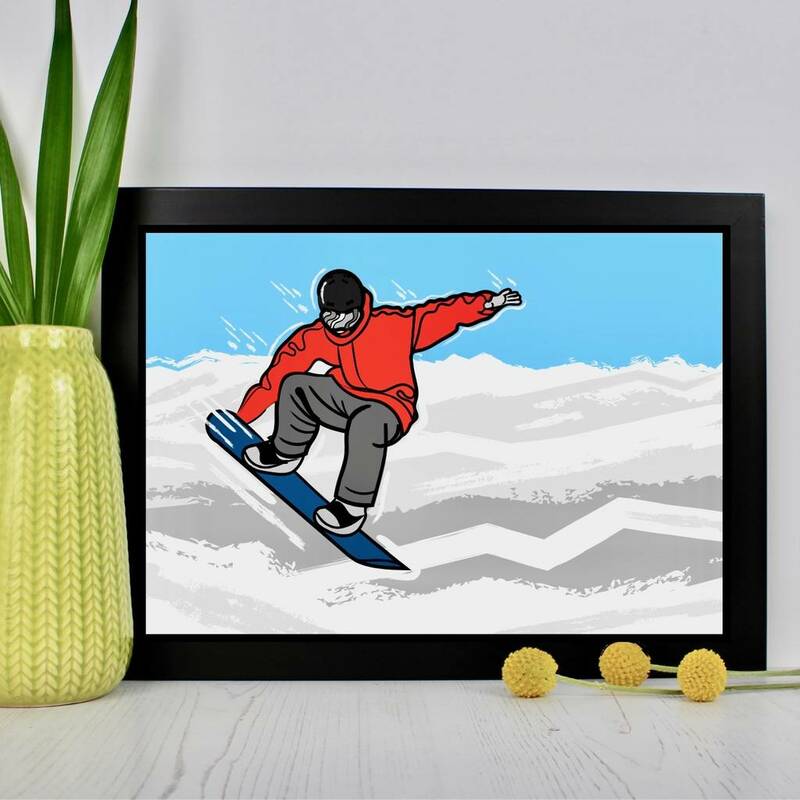 This colourful action print would add a splash of colour to any interior and make a great keepsake. It can be personalised with the names and dates or text of your choice. Using the options you can choose to personalise with up to four lines of text or leave blank. 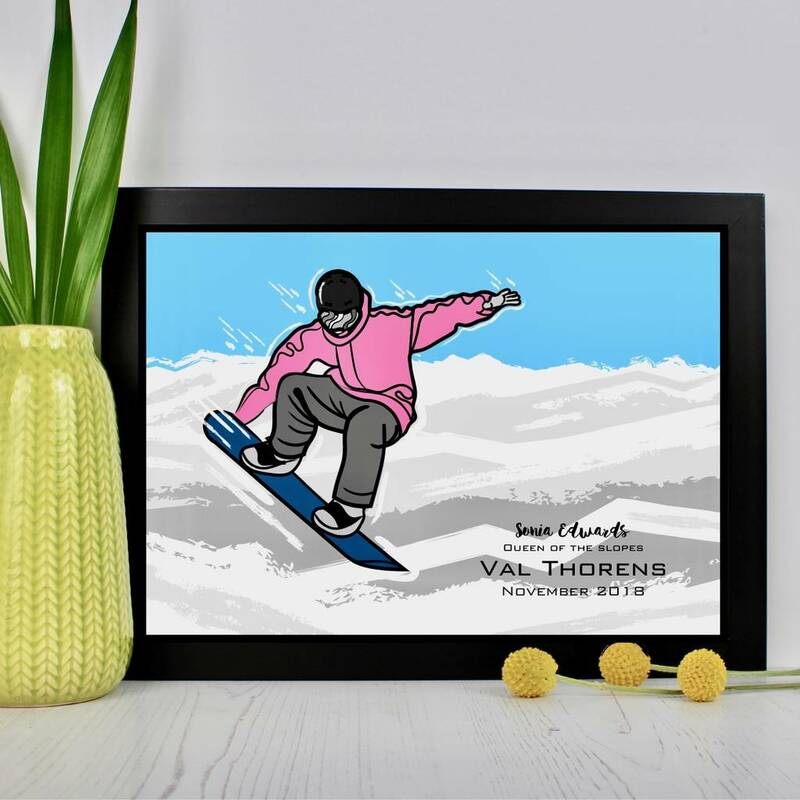 The illustration is also available in two colour options with red or pink snowboarding gear. It's available in two standard A4 and A3 sizes so fits nicely into a standard off the shelf frame. 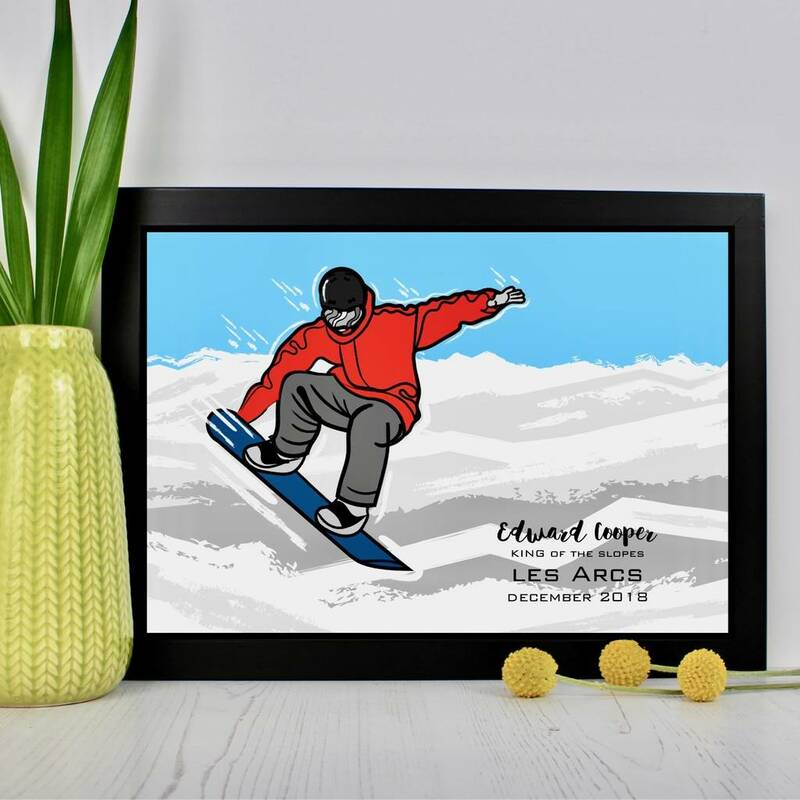 Printed on 225gr archival quality art paper.